I wanted him to have a positive opinion about menstruation and even to see it as somewhat magical. Underneath our polite facade is a force that drives us on, a primal urge to connect and be loved that we can only strive to control, somewhat . . . The Blood House maps my process of untangling my grief at my fathers death, from a mess of rage and loss. I have interrogated poetic form, this isn’t a confessional poetry book as such, it is an experiment on form and abstraction to represent the psycho-sexual. of artistic courage, read these poems. 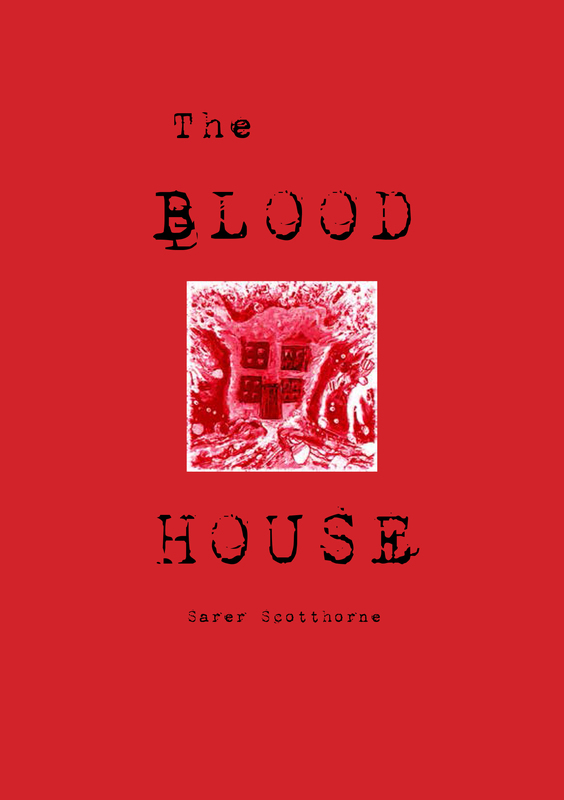 The Blood House is reviewed by Andie Berryman for Sabotage Reviews here and by Steve Willey for his Transmissions Series here. 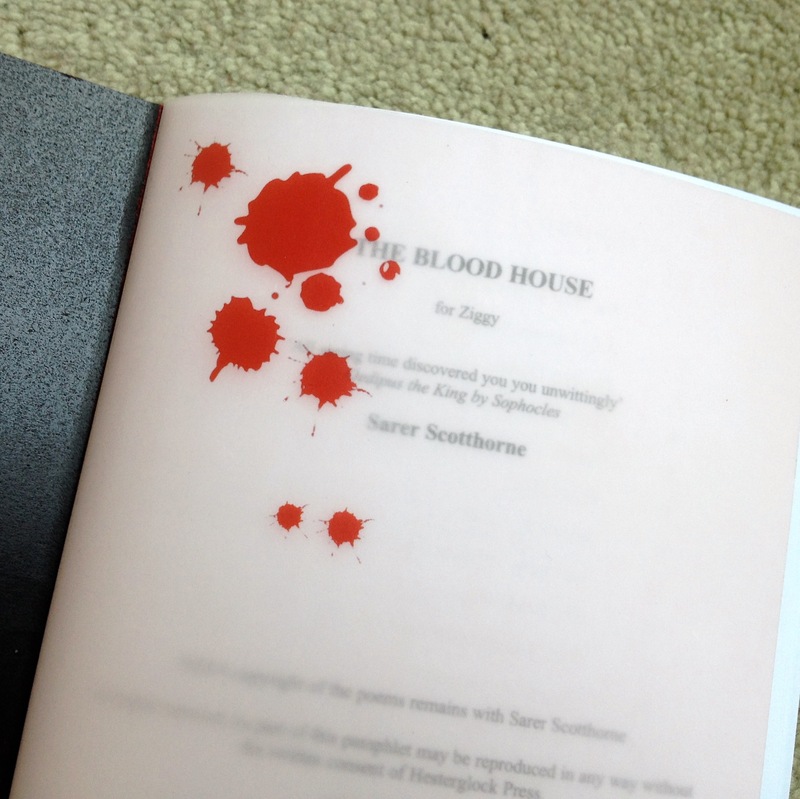 A5 hand-made covers, each one lovingly put together with ltd. edition endpapers and a colour printed photograph of Sarer’s Blood House painting on the front, priced £5 + postage (£1.00 p & p UK, £2.50 worldwide) via Paypal by clicking here. if you need to, you can contact me about orders by completing the form below . . .